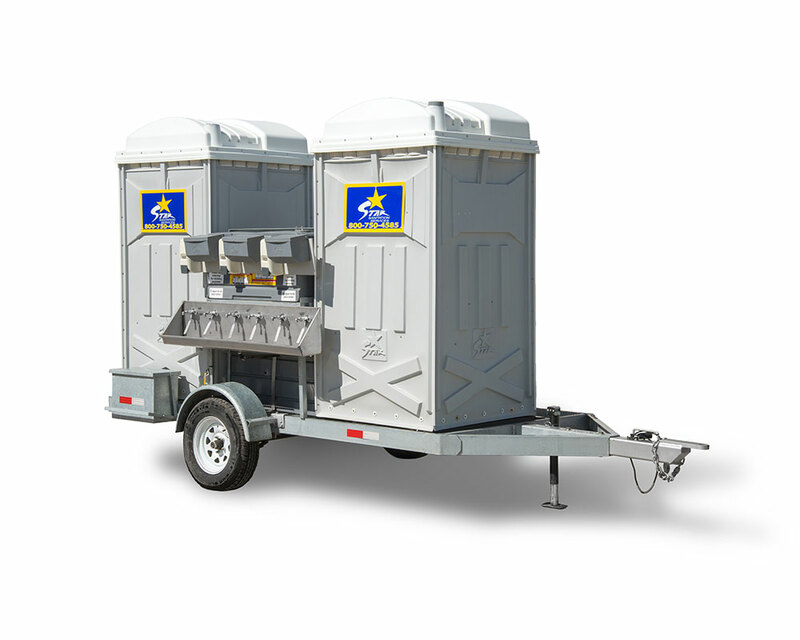 Two fiberglass restrooms mounted onto our specialty construct trailer. 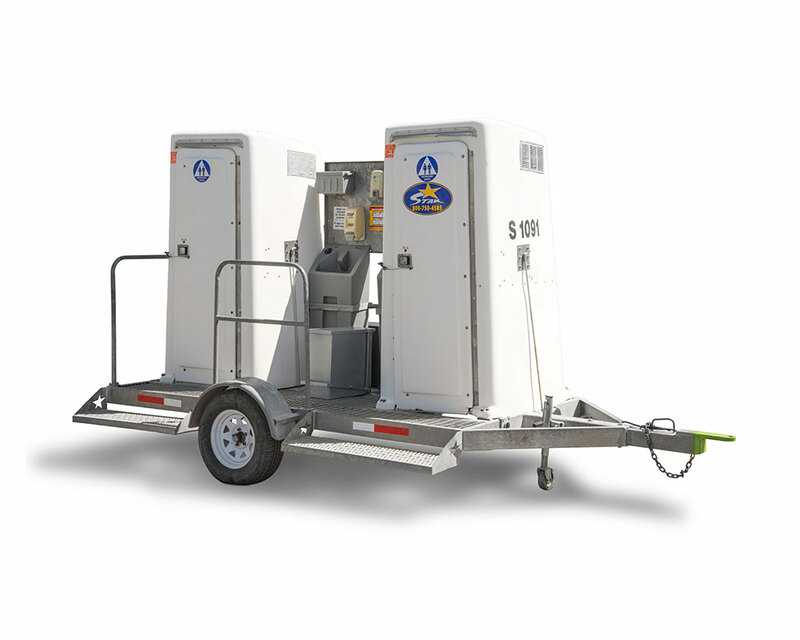 The single axle design allows for great maneuverability. Comes with two foot activated hand wash stations and a trash receptacle. Each wash station comes fully loaded with hand towels and liquid soap.